or God is the most amazing creation of Man… ? ? ? ? And said, “Dear Child, you can take the sweets”. But the child didn’t take. The shopkeeper was surprised Such a small child she is and why is she not taking the sweets from the bottle. Again he said take the sweets. Now the mother also heard that and said, “Take the sweets dear”. Yet she didn’t take it. The shopkeeper seeing the child not taking the sweets. He himself took the sweets and gave to the child. The child was happy to get two hands full of sweets. While returning home the Mother asked the child Why didn’t you take the sweets, when the shop keeper told you to take..? Always ask God what you want and wait for the Lord to give you more!! Kedarnath is one of the 4 Char Dham Hindu pilgrim centers in Uttarakhand, India. The town and the temple are open from May to October only to avoid heavy snowfall in winter. Specific dates are as per the Hindu Calendar and one needs to check for specific dates for each year. One can still visit when the town is shut down but one needs to be prepared for being on own amidst heavy snow fall. Kedarnath (about 3400 m high) is highest among the 12 Jyotirlingas. 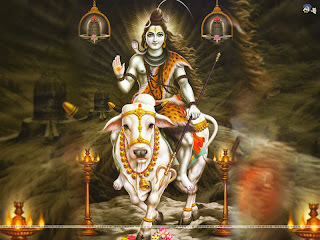 Kedarnath is approachable on foot from Gaurikund (about 2900m high), which is connected by road to Rishikesh, Kotdwar, Dehradun, Haridwar and other important hill stations of Garhwal and Kumaon region. Daily buses/taxis from Hardwar/Rishikesh/Dehradun ply during the pilgrim season (approx May to October) take you to Gauri Kund. The road ends here. Kedarnath is a steep 14 km trek from Gauri Kund (horses and palanquins are available for hire). There is even a helicopter service during peak season, which is run by Pawan Hans Helicopter service. From Haridwar every day morning buses start to Gaurikund. Advance bookings can be made at GMOA (Garhwal Mandal owners Association) office in front of the railway station. It takes almost one full day journey to reach Gaurikund if there are no Landslides. Bus journey is very beautiful because most of the 240 kms is ghat road journey with many mountains around and river ganga following you through out the way. If you choose to drive your own vehicle, make sure it has good ground clearance as there are rocks strewn all over the route. A powerful engine will make life much easier. There are two parking lots just before Gaurikund (100m, 500m before Gaurikund). Getting space for private vehicles is tough, but can be managed after polite cajoling discussions with the caretakers. 5 km below Gaurikund, there is SonPrayag. There is fatak (gate) here to make sure vehicles move in one direction only from SonPrayag to Gaurikund. It ensures minimum traffic snarls, but adds 1-1.5 hrs to journey time should you end up on the stationary side. It would be advisable to park your vehicle at SonPrayag and hitch a ride to Gaurikund. As soon as you reach Gauri kund, the people who own mules will start asking you if you need a mule for trek to kedarnath. Dont commit anything to them. The going rates in 2011 are INR 400-700. Make sure your mule has been adequately rested before you start (it’s a very steep climb) and that it has some experience of the route (mules run on auto-pilot if not controlled by the guide or you). Porters (pitthus in local language) are also available to carry your luggage up to Kedarnath and leave you free to walk up lighter. They can deliver to your hotel directly or walk with you. At Gaurikund, there are some privates guest houses to stay. GMVN’s guest house is usually the best option and bookings can be made online as well. You can also take a dip in the holy water from a hot spring. Its a great relief to take bath in hot water. Some may find it crowded. Kedarnath is 14kms from Gaurikund and you can choose to walk or take a mule. Older people take the doli, which is carried by 4 hired people. If you can walk half a kilometer towards Kedarnath you will find the office of booking mules and dolis. There will be plenty of people on the side ways asking you, if you need a mule. Its always better to book in that office because the mules which they give are good in health and strong. Once you start from Gaurikund, there is a concrete road to walk on and there is a small shop for every 200 meters where you can get some tea, chocolates, biscuits, maggi noodles etc., After 7kms , you reach a place called Rambara. There are couple of guest houses here to stay including one by GMVN. Most pilgrims take a break here and eat some food and then resume the journey towards Kedarnath. The air gets thinner after Rambara and many people experience breathing trouble between Rambara and Kedarnath. This is particularly acute for people walking up. 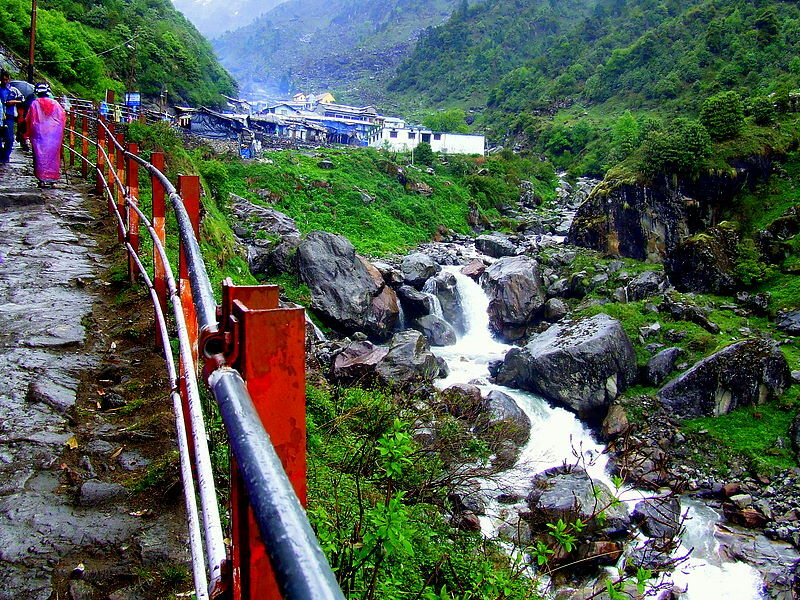 The ascent flattens out about a Km before Kedarnath. Thus, one climbs up about 1500 m in the 13 KM between Gaurikund and this point. The view is fantastic while moving towards temple but the dung of mules make you feel uncomfortable because of so many mules. Even though there are some people, who constantly clean the path, it still smells little bad. A good pair of binoculars would make the journey even more breath-taking. I asked God to omit my problems. His answer: No…, it’s not for eliminated but to defeated. His answer: No…, your soul is perfect but the body is just temporary. His answer: No…, patience is the result of trouble not for given but to be learned. His answer: No…, I give thankfulness to you so your life will never be lacked. His answer: No…, suffer will keeping you away from worldly attention and bring you closer to me. His answer: No…, it must grow itself but I will prune for you to quickly bear the fruit. His answer: No…, I give life for you to enjoy everything. I ask God to help me love others as He loves me. 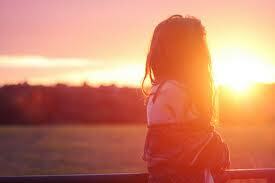 But to Love and to be loved is everything. Thank you God for blessing me with the love of my life”. Today is my birthday. I’m um… a year older than I was last year. All year I have been saying that I am going to be a year older than I reallyAm. 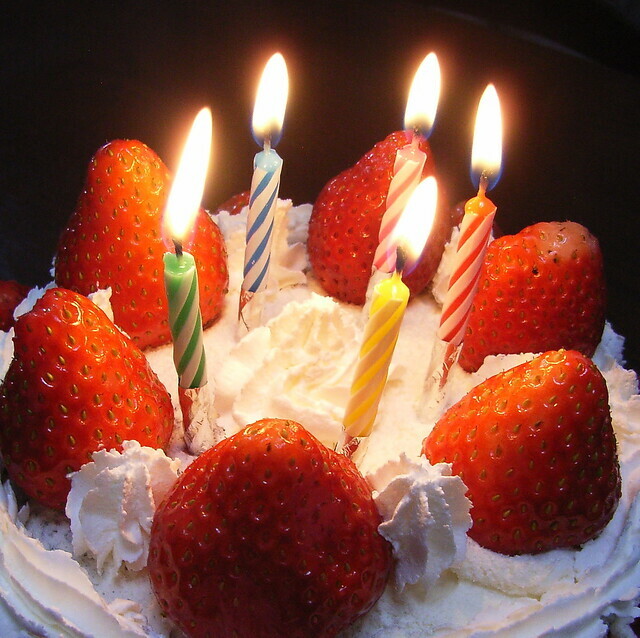 Besides the fact that I really do not celebrate my birthday… it is just another day. I’ve been that way my entire life. But eveybody has someone that actually make this day special.Except on Facebook… I’m not used to so much attention on my birthday.Thank you to all of my family & friends for the Birthday wishes. They are very much appreciated. I feel pretty good for being a birthday girl and communicating to all for the first time via my blog. I’m so very grateful to God for the journey through life this far. I’m grateful to all (@) family members, friends, fans, followers and all acquaintances that helped shaped the road one way or the other (be it positively or negatively). I pray, the Almighty God to continue to be my God. My God of good health, long life and prosperity. My God that always meet me at every point in need. I’m confidently trusting God that my best days and years are yet to come !!! 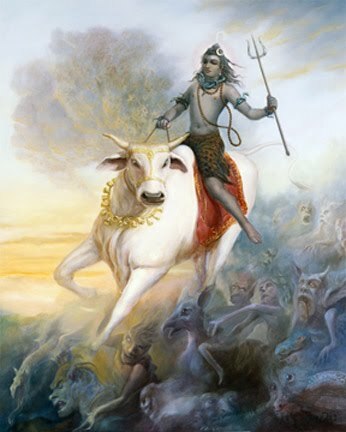 Once Lord Shiva and his consort, Parvati, were travelling with their vehicle – the Bull (Nandi). The Lord had taken the form of an old man, while, Parvatiji remained young and beautiful. On the road all passers-by looked on with amazement at this odd couple of an old man and a young woman. In this world, even if we perform a good deed not everyone will like it and support it. The problem lies with the nature of our world. If a Sadhu shows miracles people say, ”He’s into black magic and possesses evil powers.” And if a Sadhu avoids miracles, some will mutter complaints, ”O! He shows no miracles. He’s ordinary and is of no use.” This is the line of thinking our world works on. It is crooked from both ends and whatever you do, the world will never see you straight. Therefore, pay no attention to the words of the worldly people and continue to devotely worship God.